A charming studio cottage that takes you back in time to the simple life. The home is equipped with all the things you need for a relaxing vacation: huge yard, BBQ - a must in the tropics, the indoor bath has a shower, and another outdoor shower is perfect for rinsing off after a fun day at the beach. 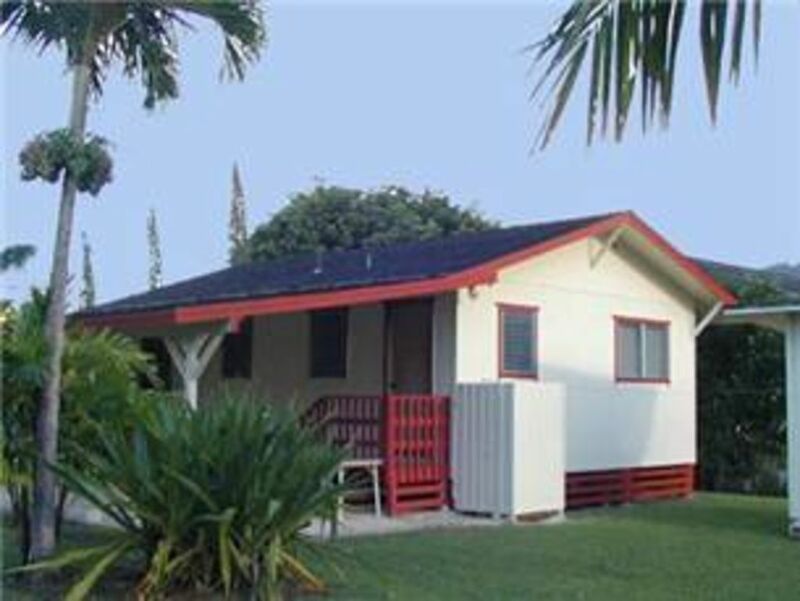 When you're in the house you'll enjoy the TV, VCR, a full kitchen, laundry, plus high speed Internet. Vintage koa furniture adds to the charm. The house can sleep 4, with a queen and a double bed. Cozy cottage perfect for the two of us. We didn’t cook at all, but kitchen was well-equipped. There were beach chairs and boogie boards as well. One block from beach access—nice because there is no parking at this access so fewer people. An easy walk to restaurants and grocery. LOVED the outdoor shower—nothing fancy, but outdoor showers are THE BEST. Loved the location. We were able to park our car and basically walk everywhere.